Enjoy Effort-Saving, Expert Oven Cleaning Anywhere in Sydney! Advanced dip tank cleaning methods mean exceptional oven cleaning! A free quotation at any time! Why Hire Our Expert Oven Cleaners? Our oven cleaners in Sydney use the latest oven cleaning dip tanks to ensure even the most heavily-stained oven gets the highest standard of clean. We carefully disassemble your appliance, and then soak each individual component in a bath of eco-friendly oven cleaning solution, allowing us to get into even the most hidden recesses of your oven with minimal scrubbing. You’ll benefit from a thorough and intensive clean that improves the condition of any cooking appliance, including barbecues! We can be of assistance around the rest of your home too! Why not add our house cleaning or gardening services to your order today? 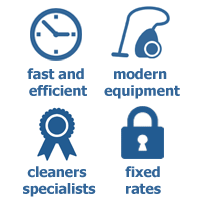 You’ll get a comprehensive clean delivered alongside brilliant financial savings! Book Oven Cleaning in Sydney Now! Give us a call on (02) 9098 1732 and set up the oven cleaning you need in Sydney right away! We offer exceptional cleaning which can be booked over the phone, via our chat facility or when you fill in our online booking form. We’re happy to provide free quotes and convenient appointments around the clock.